General Category Posts. Please also see other categories below. 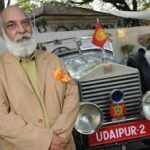 The Indian Ambassador motor car – based on the old the Morris III series from Cowley,?Oxford – has ceased production since 2014, which is a sad state of affairs. 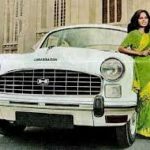 It is a car that has transported royaltly, but more often than not, the ordinary man or woman, it has been and still is,?an?ordinary Indian taxi. The ride, due its generous suspension and Indian roads, may?be overly ‘altitudiness’ but inside it is spacious and simple, and offers a glorious ride.? Here is a BBC clip?illustrating the charm of the car. We hope?you?take a chance to enjoy it on your holiday to India. 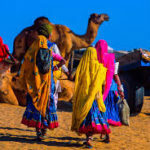 Next month, our first group of intrepid travellers will be off to India, camping under the stars for a night, staying in old trader’s houses and palaces, riding camels, going on a train journey across the great Thar desert and seeing the Tal Mahal; amongst other experiences. ?We’ve mentioned the Exotic Marigold hotel will feature strongly on the trip, in fact we’ll be enjoying lunch in it. It might be an idea to watch the movie before travelling (there’s an Exotic Marigold Hotel 1 & 2; its sequel). ?Here is a link. 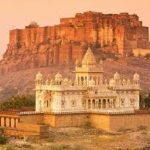 India – is it right for you? 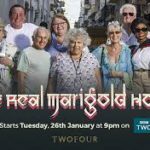 The BBC’s wonderful documentary ‘The Real Marigold Hotel’ explored the possibility of retiring in India, in the busy city of Jaipur – and what a wonderful place this ‘pink’ city is. It? ?has a vibrancy, exuberance and eclectic quality of its own,?and the haveli (old mansion house) featured on the show, is a place Angel Holidays is friends with (we know the owner) and where you can visit: we can book you in for dinner? (for just around ?9). Here’s an interesting BBC link that has some perspectives; from?the men of the group. Copy and paste the link below, you can also click the BBC link for female perspectives too. 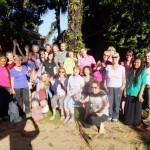 Here are some practical tips to help those?travelling to India.? By now you should be well underway with vaccinations, and don?t forget to apply for the Indian Visa. You could conceivably arrive in Delhi with no luggage and buy everything you need cheaply within a few hours. So don?t be too concerned if you forget anything.? Your case/bag: We?re moving around a lot. Often you?ll have to carry/wheel your own luggage over rugged terrain, poor footpaths etc; it?s useful not to bring large cases. A soft holdall on wheels is probably best or a smaller sized suitcase. The contents: Remember whilst evenings can be cool (but rarely very cold) days will be warm. You can buy most things in India such as toiletries, clothes, sunhats and sandals.? You may want to bring some smart clothes if you want to dine in style some evenings. There are cheap laundry services along the tour (bring a carrier bag to store laundry) so there?s no need to pack enough clean clothes for a full three weeks. You can change sterling in India. It?s better to change large amounts at a time as exchange bureaus are not always easy to find and non existent in remote places.? Changing around ?100/200 or more per person in Delhi is recommended. You can also use ATMs in cities, but tell your bank you?re going to India. Your bank will charge you per withdrawal so it is better to withdraw larger amounts. In tourist quality restaurants you can pay anything from ?3 to ?20 (but rare) for a meal.? For an approximate budget the average meal will cost around ?3 – ?10, a large beer or Gin/Tonic ?2.50 and soft drinks 50p. Wine can be bought but not everywhere. Tax and service charges are added to your bill and can add up. Overall you?ll find India a great deal cheaper than the West.? Souvenirs can be bought very cheaply. Local markets offer fabulous bargains. Don?t get taken to any emporiums by rickshaw or taxi drivers. We hope this advice helps to prepare for our great trip. Bring some luggage space for shopping! 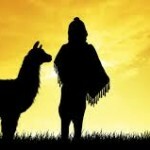 With 4 months to go before our holiday to Peru, it’s nice to know that Angel Holidays is cheaper and better! ?Our two week holiday is ?1,390 plus flights which are currently around ?840 – and dropping steadily. ?Trailfinders meanwhile, with less internal flights (meaning more time sitting on a bus) are ?3,100 including flights from the UK – and we both go to the same places; in fact Angel Holidays takes you to some extra locations, as our holiday is longer. The saving is nearly ?1,000 per person going with us, and you get two extra days in the country! We’re more authentic too, staying in downtown Lima for example, when the others stay in a resort that feels more like Malaga than Peru ?- not that we have anything against Malaga! If you would like to join us, let us know soon. 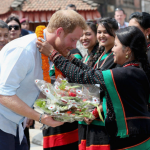 Many of you might had seen that Prince Harry is enjoying a holiday in Nepal, which is now firmly open for tourists.? The prince has visited Kathmandu and ancient Bhaktapur,?as well as the jungle. ?More?recently he’s been in the Himalaya. All these places we visit on our tour to Nepal with Angel Holidays. ?In fact, he’s been photographed outside our hotel. If you might like to?follow in his?footsteps as well as?stay in a monastery at?the birthplace of the Buddha and fly around Mount Everest, our new tour dates are now set for 2017.? Simply contact us to reserve your place for just ?200. Romania may not be on everybody’s lips as a long weekend destination but it?definitely has its attractions. ?Flights?to the capital, Bucharest, start with Ryan Air for example,? as low as ?30 return – there’s mid day departures?too -?and the airport in?Bucharest is a short ride from the?capital (?5 by bus). 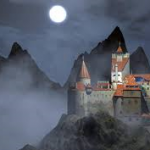 A perfect ‘5 day weekend’ would be to?spend one or two nights in?the old part of?Bucharest, gastronomically it’s?wonderful, then take a train?to Brasov?near Bran; the beginnings of Transylvania, and visit Dracula’s Castle amongst more restaurants and?shopping. ?Back on the train, and Sinaia?could be your next stop (just an hour from Bucharest)?a pretty ski resort. ?Then return to Bucharest for one final night. Hotels are cheap; from around ?30 a night for a good one,?an?hour?on a train will cost?you ?1.50 and meals in nice restaurants start at ?2. ?At ?1.50 a glass, the wine?is worth sampling too.? ?Maybe?this is one place we could?add to the Angel Holidays agenda one day. The people, are wonderfully polite and helpful too. 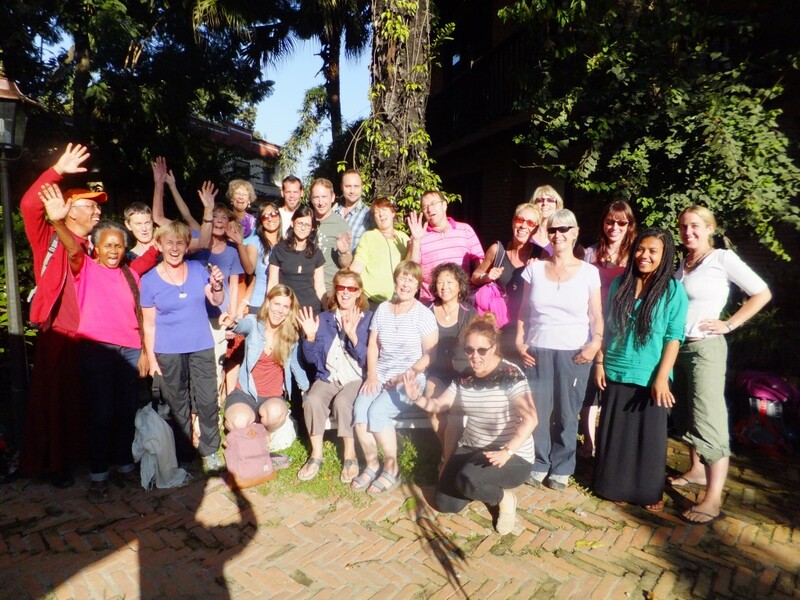 As many who?ve traveled with us to Nepal will know, on our tour we visit the birthplace of the Buddha, and in this?spiritual couple of days; we explore how to create more happiness in our lives ? regardless of any religion. We?ll be led by our lovely Buddhist monk on this part of the holiday which is fascinating. The ?four noble truths? of Buddhism suggests that our attachment to desires can lead to unhappiness, but as you?ll probably find out, this doesn?t mean that you can?t enjoy desires ? even the simpler ones like desiring a cup of tea and then drinking it ? the key word is ?attachment?. ?If you?re attached to a desire this means that if you don?t satisfy it you?ll be unhappy. ?Perplexingly, it maybe useful to have many desires that you?re unattached to?and if you accomplish a small number of ?these, rejoice in them, the others: just let them go. Also by attaching ourselves to a desire we hope to fulfill in the future, we can lead ourselves into a situation where we?re unhappy in the ?here & now? until we achieve this desire sometime in the future. ?It?s important to live in the ?now? take happiness from it and the meditative practice of ?mindfulness? is something that can help (you can ask about this on this part of the Nepal tour). Perhaps too we need to create simpler desires in the first place that can be more easily attained and surpassed. We often see Asian people with less than ourselves who appear happy; Nepal has an abundance of these. Enjoying the many things we do have, rather than the things we don?t, also helps. ?Here?s a picture of our group on our previous holiday to Nepal. As you can see, ?a very happy bunch, whatever religion!